Pfeiffer Park Alpacas is pleased to assist clients with on-going health support services for pet and herd alpacas. We provide a number of products / services to help you throughout the year. 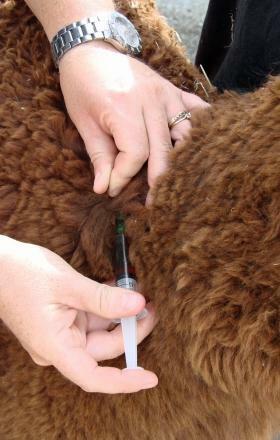 Call any time for assistance over the phone or to book in general and/or biannual health checks, shots, drenching, etc. Routine services are supported by our vets and specialised treatments are only done in consultation with our vets over the phone and with clients permission. Biannual visits are an all up fee for toenail cutting / teeth grinding / shots / drenching and includes travel.